Karya is a very creative theme designed with passion and lots of efforts. Karya is the best template for portfolio websites which showcase awesome works done by awesome people. Karya also features some really unique transitions & animations that no other Muse template provides. And the best part is that you don’t have to make any efforts. The effects are so well build in that it requires your zero attention and works automatically. We have also made a series online tutorials to edit the theme. Where you will find step by step tutorials to edit the theme with ease. So, do not wait anymore. 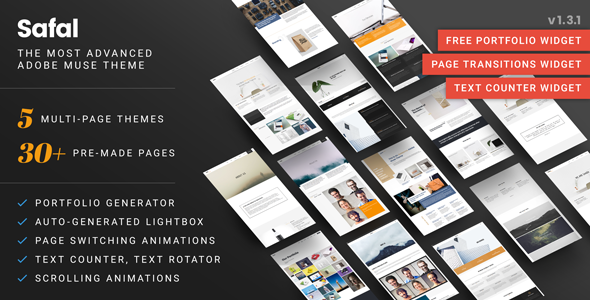 Purchase Karya today and build your own Creative & Professional looking portfolio website. All the images under CC0 license are included with this theme. All the other assets are listed in the documentation.